This is Robert F. Kennedy Jr’s speech at the SB277 rally that took place in Sacramento, California at the State Capitol on April 8, 2015. Cameras and editing by Joshua Coleman. Indeed, such is a sobering thought; however, many Federal and State laws are very clear and they also reach into every sphere of human endeavor. Many of these laws, especially those that codify America’s core values should not be swept under the rug or granted an insignificant status. For instance, it is very clear and black letter law that any citizen, at any- time, anywhere, and in just about any circumstances has a right to complain to other citizens and to law enforcement of judicial corruption, political corruption, and even suspected corruption. 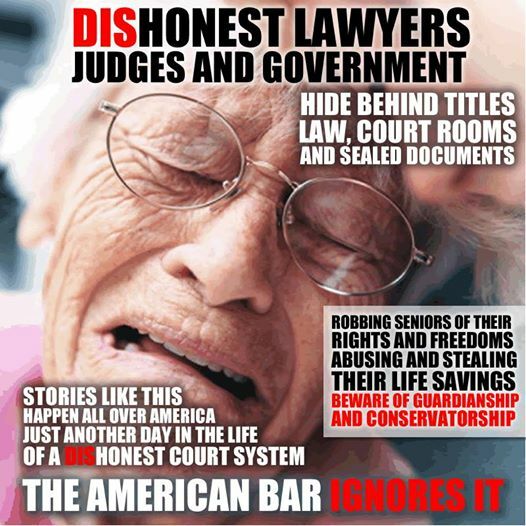 Thus, a citizen, has a right to author or manage a blog that claims that particular judges in Cook County, Illinois are corrupt, and aiding and abetting the elder cleansing of senior citizens and the infirm. 47 USCA 230, Article 1 of the Illinois Constitution and the First Amendment to the United States Constitution. The First Amendment has evoked great controversy over the years; however, the Supreme Court has been steadfast in decreeing that it must be given its more liberal interpretation. It is an equally sobering thought that by use of semantics and by outright misinterpretation of the words and phrases uttered by the Legislative branch of government editorial boards. Prosecutors, and apologists alike can take any ‘language’ and distort it to either advance a cause or to destroy a cause. 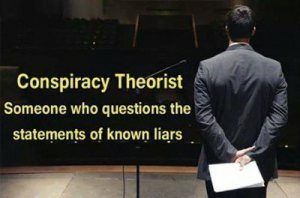 We call these forays “intellectual dishonesty.” Thus, when a respected Senator goes to the mat for a friend who is obviously over-charging the government on Medicare and engaging in some questionable activities it is easy to divert attention and object to the prosecution of the Senator for misusing his official position. Here in Illinois the Wall Street Journal, other media outlets, law enforcement, and the legal community have turned a deaf ear to cries for an investigation of ‘elder cleansing.’ Elder cleansing being the systematic railroading of a senior citizen or disabled person into guardianship for profit. Therein the victim is isolated for his her former life so that he/she can be stripped of his/her humanity, property, liberty, and other civil rights. A Prime example is In re: Mary Sykes 09 P 4585. Therein even though literally hundreds of similar ‘elder cleansing cases’ have been brought to the attention of local, State, and Federal authorities government and law enforcement have failed to enforce the law. The First, Fifth, and Fourteenth Amendments are routinely ignored in the elder cleansing cases, The Americans with Disabilities Act and the protective clauses in the guardianship authorization statues are regularly and routinely ignored. New Mexico took a big step toward protecting children’s and parents’ rights when, last week, Governor Susana Martinez signed into law a bill ensuring that a parent’s decision not to administer psychotropic drugs to a child is not grounds for a child being removed from parental custody by Child Protective Services (CPS). And the legislation goes deeper. House Bill 53, sponsored by State Rep. Nora Espinoza, also restricts school personnel from taking any action against the parent or compelling or requiring any student to take a psychotropic drug and, further, requires parental written consent prior to any psychological screening. The Citizens Commission on Human Rights (CCHR) applauds these important safeguards for children. For too long parents’ rights have been subjugated by the mental health industry, and children wrongly labeled with mental disorders and drugged with dangerous mind-altering psychotropic drugs. It’s encouraging that New Mexico is taking its place among a growing list of states taking protective actions on behalf of children and parental rights. There is an ever-increasing number of children being diagnosed with subjective, non-scientific, mental disorders, and prescribed harmful and even deadly psychiatric drugs. 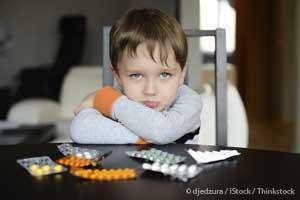 In the U.S. 8.4 million are prescribed drugs with more than 1 million between the ages of 0-5. In light of the ever-increasing number of children being diagnosed with subjective, non-scientific, mental disorders and prescribed harmful and even deadly psychiatric drugs, lawmakers around the country are beginning to set limits on mental health intrusions both within the home and at schools. Florida and Colorado both have passed laws providing enhanced rights to parents, including to right to refuse psychiatric testing/screening and/or provide written consent prior to any screening and, further, to prohibit school personnel from recommending the use of psychiatric drugs and/or make it so the refusal of a parent to consent to the administration of a psychiatric drug to their child is not a condition of the child attending school. •The behaviors prompting the evaluation could be the result of underlying physical conditions. •The parent should consider consulting a medical doctor to rule out physical causes. •The parent has the right to decline the evaluation. •The evaluation and subsequent classification or placement may be documented on the student’s cumulative record. Thirteen states, including the recently enacted legislation in New Mexico, have passed legislation addressing parental rights as they pertain to refusing psychiatric drugs, restricting removal of children by CPS based solely on the parent’s refusal to administer psychiatric drugs to a child, and coercion of parents to submit their child to mental health screening. Five states have passed legislation prohibiting school personnel from recommending the use of psychiatric drugs and/or prohibit the refusal of a parent to consent to the administration of a psychiatric drug to a child is not a condition of the student attending school. Five states, including Illinois, Minnesota, Oregon, Texas and Virginia, have passed legislation prohibiting school personnel from recommending the use of psychiatric drugs and/or prohibiting the refusal of a parent to consent to the administration of a psychiatric drug to a child from being a condition of the student attending school. Additionally, Utah, New Hampshire, Arizona and, now, New Mexico, have enacted legislation protecting parents from having their children removed by CPS based on the grounds of medical neglect for refusing to administer a psychiatric drug to their child. 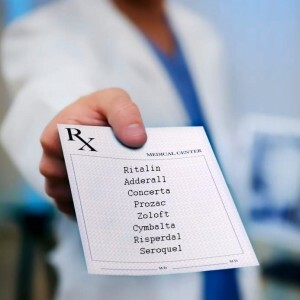 The fact that nearly six-and-a-half million American children between the ages of 4-17 have been diagnosed with the alleged ADHD and prescribed mind-altering drugs no longer can be ignored. The increase in the ADHD diagnosis from 7.8% in 2003 to 9.5% in 2007 and to 11% in 2011 has not been lost on lawmakers. That Florida is the first state to specifically address psychiatry’s diagnostic manual is of note and a primer for future legislative action—a first step in initiating a much-needed conversation about the fraudulent, non-scientific diagnosing of America’s children. Bringing corruption to a whole new level. Note: This article from 2012 is extremely relevant to day as most states are engaging in a system of “stacking” where child support payments made are held in suspension accounts and then added to the cumulative amount reported to the federal government as “collected child support”. The result? A massive overpayment that increases the dollar for dollar matching funding for every dollar collected in child support. The United States government spends over $499 for child support enforcement for every $1 it spends to enforce access and visitation by non-custodial parents. Thais the news from a document entitled Payments to States for Child Support Enforcement and Family Support Programs issued by the Department of Health and Human Services Administration for Children and Families. It’s a breakdown of expenditures for various programs in the recent past and budgeted for the near future. Here’s a link to the document which is an real eye-opener. First the good news. The Office of Child Support Enforcement knows that keeping fathers involved in their children’s lives is good for all concerned, particularly the kids. It also knows that non-custodial fathers are a lot more likely to pay the child support they owe when mothers don’t obstruct access to their children. The proposal also requires states to establish access and visitation responsibilities in all initial child support orders. The proposal also would encourage states to undertake activities that would support access and visitation. Implementing domestic violence safeguards is a critical component of this new state responsibility. These services will not only improve parent-child relationships and outcomes for children, but they also will result in improved collections. Research shows that when fathers are engaged in the lives of their children, they are more likely to meet their financial obligations. This creates a double win for children an engaged parent and more financial security. Great. So when it comes time to put their money where their mouth is, what do they do? The actual expenditures for 2010, the most recent year for which those figures are available, were $4,993,417,000 for child support enforcement including incentive payments to states and $10,000,000 for access and visitation support. Now, don’t blame the administrative agency for those radically unequal expenditures; the $10 million allocated for access and visitation is capped at that number by law. That’s right, our elected representatives in Washington refuse to spend more than that to promote children”s relationships with their fathers. Back in 2010, I posted this piece on the respective expenditures by the State of Texas for child support enforcement and visitation. Back then, Attorney General Gregg Abbott was crowing about having received a $500,000 grant from Washington for access and visitation support, so I tried to figure out how much the state spent on support enforcement. My quick-and-dirty figuring suggested the figure was about $257 million. I was wrong. The figures in the DHHS (updated to 2012) document for expenditures for each state show that in fact, Texas received a whopping $378 million for child support enforcement versus just $702,000 for access and visitation. That’s about in line with the 499:1 national ratio. And, as I said in my piece two years ago, if you’re trying to figure the relative values assigned by our current system of custody and support to custodial and non-custodial parents, that 499:1 ratio is about as good a measure as their is.